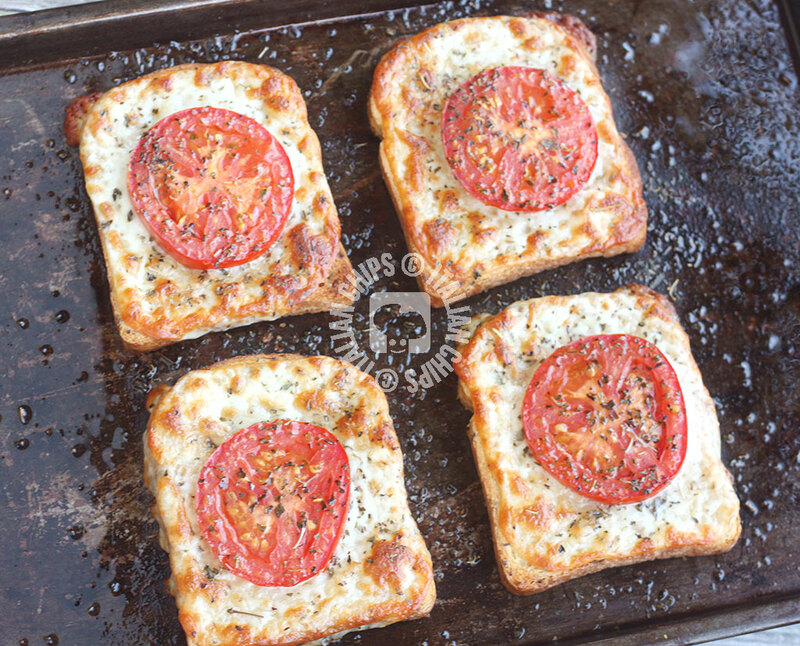 Tomato And Cheese On Toast – The Simplest Sinergy! 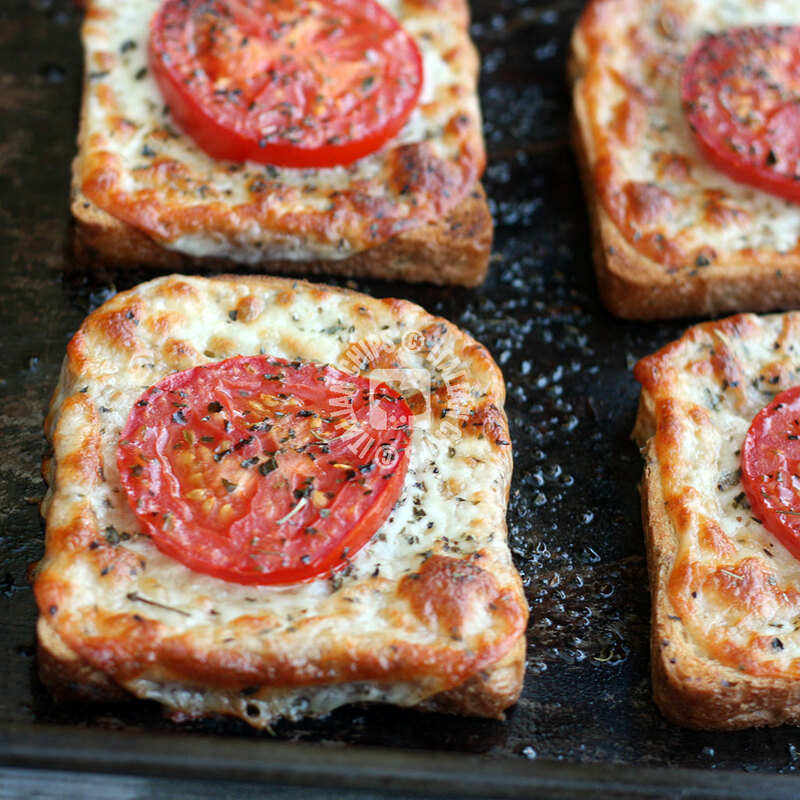 Tomato and cheese on toast reminds me when I was a teenager living with my mother and my sister. My mother often asked us: “let’s make loaf bread pizza?” We just laid some loaf slices on a baking sheet and added ham, cheese, tomatoes and oregano. When I saw this idea (I don’t know if I can call it recipe so simple it is) in Eatgoo4life blog, I just had to prepare it again after so many years. Well, it became more a tomato & cheese on toast, as I didn’t add the ham as we used to. I generously greased the baking sheet with extra virgin olive oil, put 4 whole wheat loaf bread slices, added 1 slice of melting cheese and a slice of tomato to each slice, added abundant dried origano and using a spray added some olive oil on top. Baked in pre heated oven and…LOVED it! The sum of all (good) ingredients is much more than the ingredients theirselves! That’s why I called it the simplest sinergy. I couldn’t stop eating it. So I am posting it to share this extremely simple, but extremely tasty and gratifying snack idea so that you can fall in love with it too ;-). 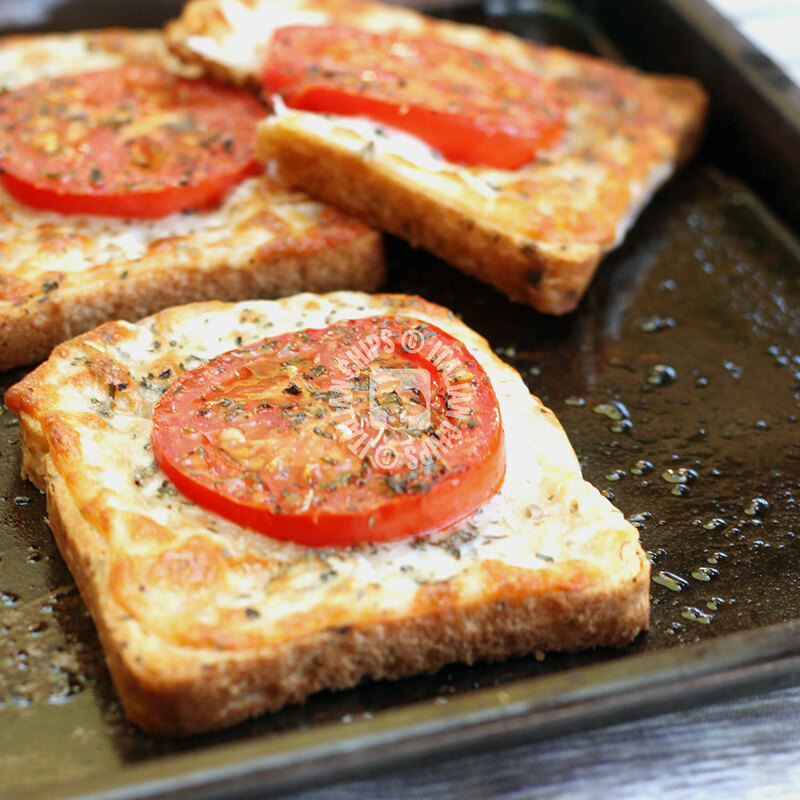 Tomato And Cheese On Toast - The Simplest Sinergy! Place 4 slices of bread and a slice of cheese on each. 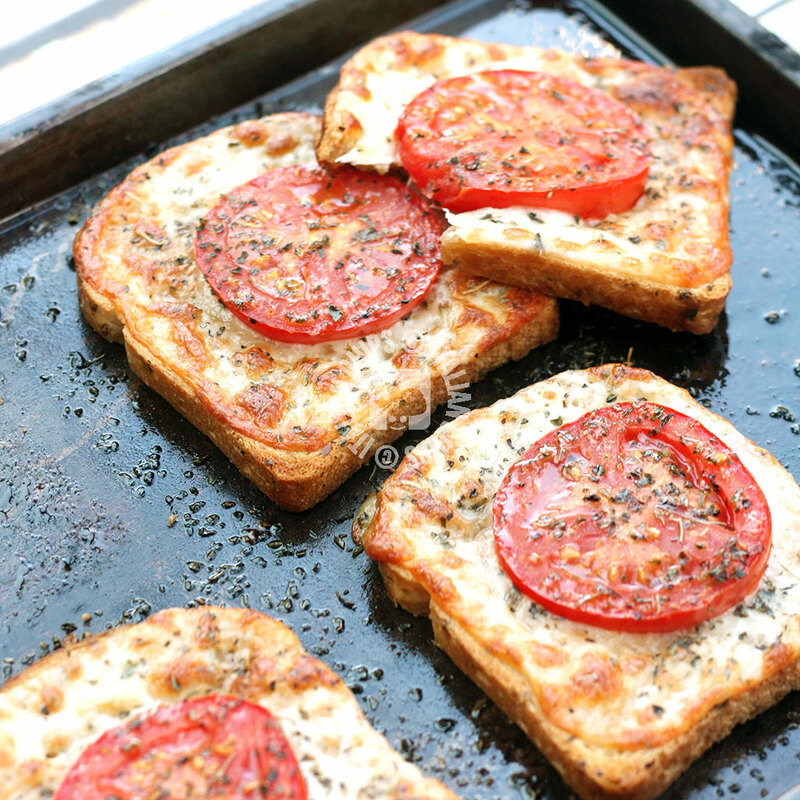 Wash and slice the tomato and add a slice on each bread slice. Add abundant dried oregano and a generous spray of extra virgin olive oil.